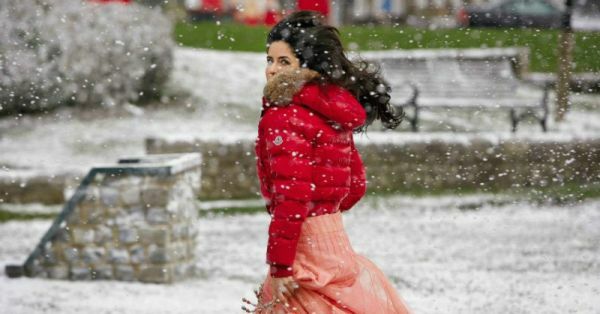 31 Stylish Winter Dresses For Women That'll Make You LOVE Winters As Much As Bollywood! This story was updated in January 2019. Winter is in full swing, and as much as we are dreading the temperature drop, we’re also excited to bring out our fuzziest of woolens and puffiest of hoodies to step out in style without breaking a sweat. But sometimes, winter-wear looks too drab if you don’t style it the right way. More often than not, it ends up making you look super bulky owing to the many layers of clothes you stuff yourself in. And for a person like me who would rather look like an Eskimo than shiver to death, styling winter-wear correctly becomes relatively harder. 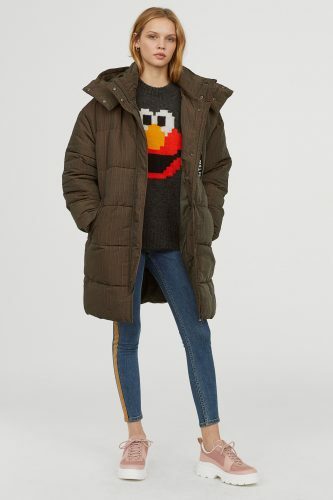 If you are looking for a game-changing number, here is our list of 35 winter wear essentials for women, and outfit ideas around these that will make this the best winter of your life. Jackets, coats, sweaters, and sweatshirts, we have it all under one roof with our seal of style and comfort check. A denim jacket or jean jacket, as it is sometimes called, is made out of denim material. Introduced in the US in the late 19th century, the denim jacket has become a style statement today. And this one in navy blue with a faux-fur collar will make you look your fashionable best effortlessly. A parka is a large windcheater-like jacket, typically with a fuzzy hood. While a windcheater only acts as a protection against hard-hitting wind, a parka does that and keeps you warm owing to the lining inside. 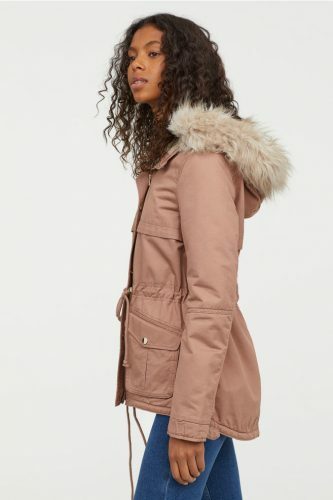 This dusty pink parka has a pile lining and an ultra-feminine vibe written all over it. The faux-fur trim hood is detachable so you can style it however you want. 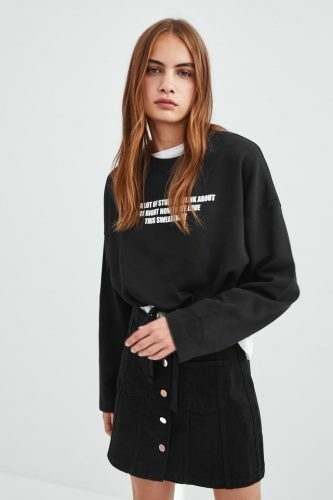 The statement-making drawstring waist and hem says something, doesn’t it? 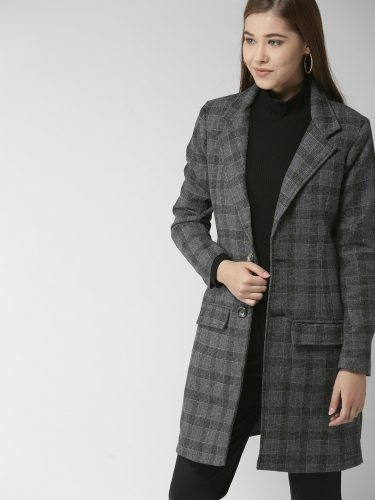 As is suggestive, an overcoat is a long coat worn over your OOTD. It can come in various colours, and patterns, but our absolute favourite is the checked variety. There is something about checks and plaid that makes surviving winter stylish and effortless. This one in grey is a wool-blend and such a trendsetter when paired with turtlenecks. 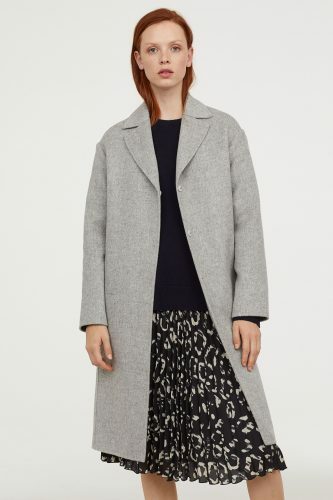 The first characteristic that defines a princess coat is that it is flared at the waist. It is usually a long coat in a frock-style and has a super feminine feel. Take your style quotient up a notch with this chic overcoat in a wintery burgundy. Wear it over a dress, we recommend a slightly longer skater dress to give a nice layering effect, and pair it will slim heels to flaunt your inner fashionista. One might think an off-shoulder sweater defeats the purpose but think again. It’s perfect for that in-between weather when it’s too hot for a full-blown sweater and too cold for a half jacket. Yes, that weather. 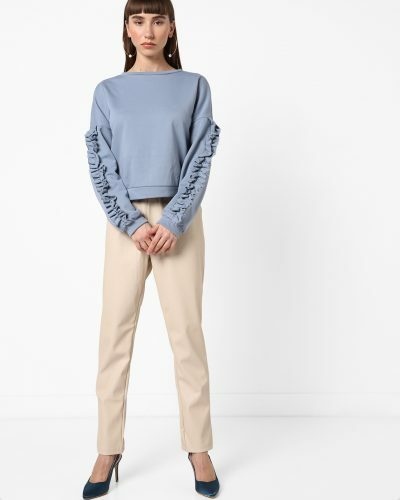 This self-ribbed sweater not only has statement-making fringes but is also 100 percent acrylic. It will keep you warm and modish all day long. 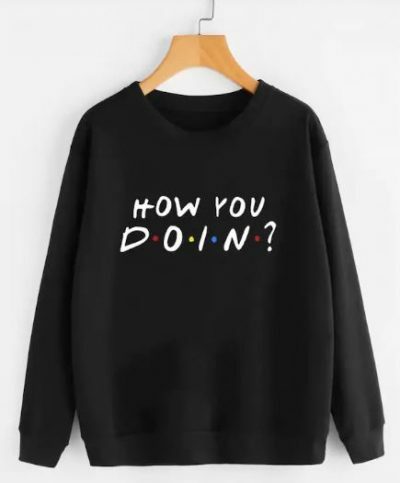 Speaking of slogan sweatshirts, this one in black with bright red taping on the sleeves is a hoot. 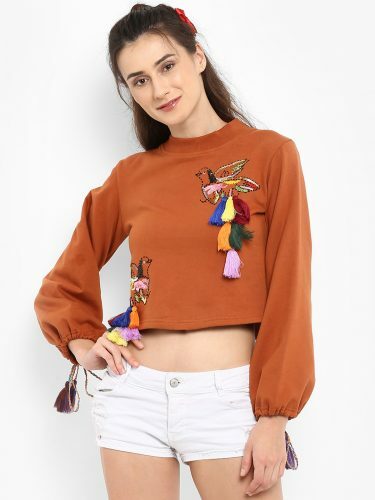 You can tie the extended ribbon into a cute bow or leave it be, the sweatshirt will sell itself. Athleisure never looked cooler. This burgundy hoodie in a faux-fur material can be teamed with high-waisted black jeans when going to a low-key dinner with your friends. We suggest you accessorise with silver-toned earrings for maximum impact. 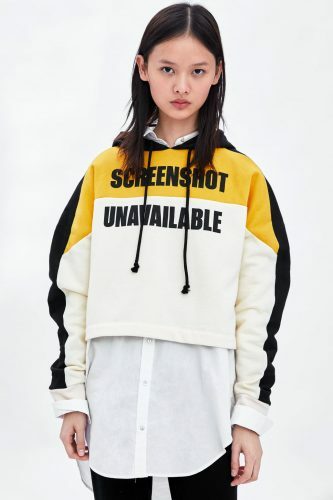 Who knew sweatshirts could be taken to dinner too?! 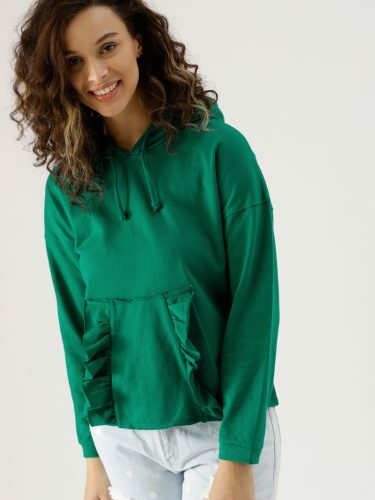 Did you know that POPxo has now ventured into a clothing line as well with sweatshirts and hoodies? So, this winter, wrap yourself in one of our own designs like this ‘On My Worst Behaviour’ hoodie ‘coz baby, it’s cold outside! Check out the entire collection here. 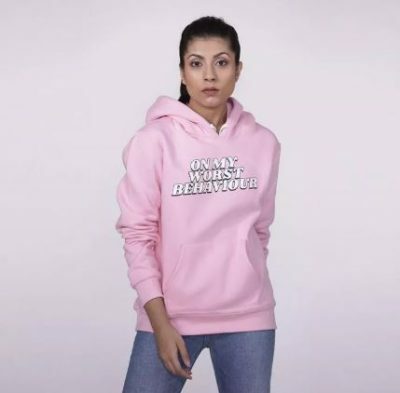 POPxo Recommends: On My Worst Behaviour Hoodie (Rs 1,299) by POPxo Shop. 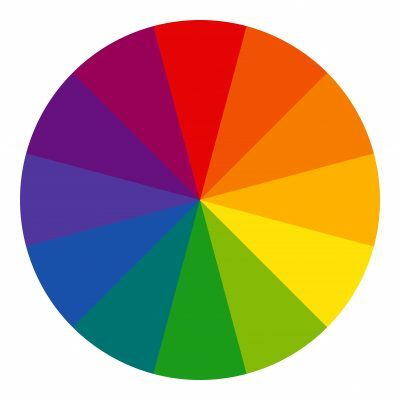 Image: Shutterstock According to the colour theory, colours that are on the opposite ends of the colour wheel actually look great together. Similarly analogous colours, that is, colours that are next to each other on the colour wheel, also complement each other. Always keep these simple colour tricks in mind and you won’t ever go wrong with the basics in the winter. After all, winter isn’t all black and grey. And isn’t this why we love winter the most, besides the cosy blankets and stolen hoodies from the boyfriend? 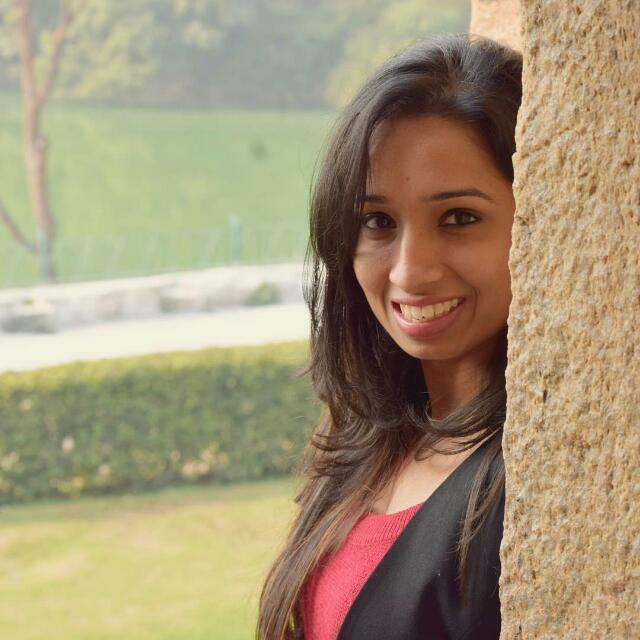 Unlike summer, layering in winters won’t leave you sweaty. Depending on what you choose to wear, layering can add a ton of colour, structure, and panache to your winter look. 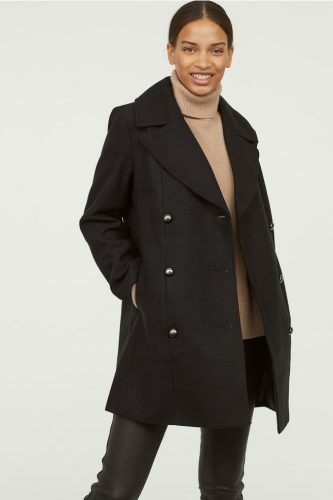 Classic layering pieces like a pullover on top of a button-down shirt or a long coat cinched with a belt over a turtleneck top will never fail you. But you must experiment with other styles too. Include your favourite summer pieces like a mini skirt or a long dress and make the most of the evergreen layering trend in style. And, while you are at it, don’t be afraid to mix and match patterns for example floral with plaid or stripes. 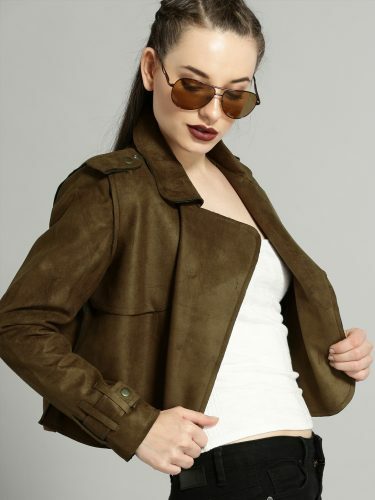 Other than the fact that leather will keep you super warm, it will also add oodles of style and class to your look without trying. 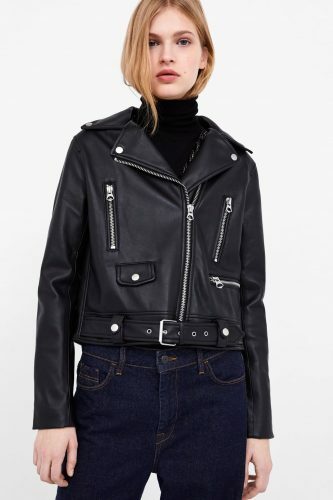 A leather jacket, or a faux-leather one, that we so love to buy, is a winter essential every woman swears by. Whether it’s a jacket or a pair of boots, every season calls for some leather investments. But we suggest you experiment with leather skirts and pants (read patent leather) this time. All your favourite Bollywood celebrities are doing it! 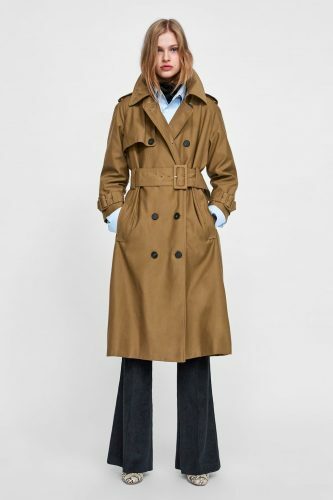 Either you can opt for trench coats that come with an attached fabric belt or you could try experimenting a bit and wear a belt over your usual overcoat, either way, a statement-making belt will give you an edgy look. Try different colours for the belt, not just black, and you will see how it adds a pop of colour to your outfit. If you are going with a bright coloured belt then try to keep the rest of the outfit neutral. This will draw the attention to your waistline while also making a style statement. If you are not sure, just match your belt to your shoes and see how it brings your OOTD together. The day I wake up to a hint of mist in the air, I dump all my jewellery, especially necklaces and bracelets, in a box. Just the thought of cold metal touching my skin gives me goosebumps. But there’s a way to make way for jewellery in your winter wardrobe too. Decorate your turtlenecks to add a dash of bling to your winter-wear. Wearing a necklace over your turtlenecks can make your outfit go from drab to fab in just seconds! So, go ahead and invest in those chunky necklaces and dainty pendants to glam up your everyday look. They are all-season and all-awesome. Winter accessories go far beyond necklaces and bracelets. Yes, we are talking about mufflers, stoles, and scarves. Not only do they keep you warm, but they also add so much colour and cuteness to your attire. You can even get one in a fun, quirky print to bring some life into a boring outfit. So, next time you’re wondering how to add a touch of glamour to your look, you know what to do. Remember ladies, trends may change with every new season but some pieces are timeless! Sneakers may be ‘in’ all day, every day, but boots are a winter essential we are sure will never go out of style. If you are in a hurry and don’t know how to make your outfit look more stylish without running another minute late, just reach out for cute booties or fashionable knee-high boots. Here are 30+ different types of boots that are sure winners this winter. Now that’s not something you didn’t already know. Beanies have a way of making even the hottest LBD look uber cute! So, stock up on a few beanies in cute colours and prints, and hide your bad hair days effortlessly while looking cute. You can also add pins and patches to your beanie for a funky look. It’s the easiest DIY in the books! How could you miss out on fuzzy gloves?! Whether they are with finger cut-outs or regular, there is so much that a pair of gloves can do while keeping your hands warm and cosy. We are crushing on embellished gloves with beads, pom poms, and little bows this season. We know they say ‘the more the merrier’, but sometimes less is more, and too much is a bore. If you are not sure how your layered outfit might turn out, just opt for the basics that you know will never go south. A plain sweater with jeans and boots is a combination we can vouch for any day of the week. If you want to add a statement piece to the look, go for oversized sunglasses or a cute handbag. POPxo is now available in six languages: English, Hindi, Tamil, Telugu, Marathi and Bangla. AWESOME NEWS! POPxo SHOP is now Open! Get 25% off on all the super fun mugs, phone covers, cushions, laptop sleeves, and more! Use coupon code POPXOFIRST. Online shopping for women never looked better!